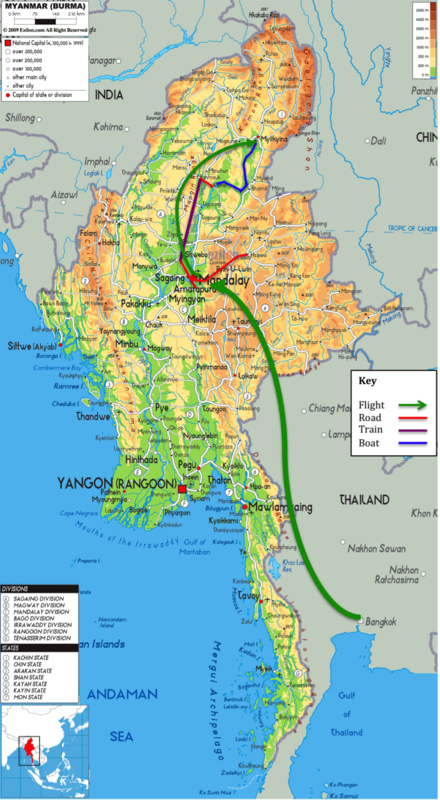 The map below shows are travels over the past two weeks in northern Myanmar and the modes of transport used. The government still prohibits foreigner travel further north than Mytikyina without permits and a guide and the Chin state to the north west still has highly restricted access, therefore we've been as far north as we can go. Tomorrow we head to Yangon to explore the south of this amazing country. At the bottom of each post there should now be a link to our current location on google maps - check it out.